Our clubhouse bar is open on Thursday and Friday evenings, all weekend. 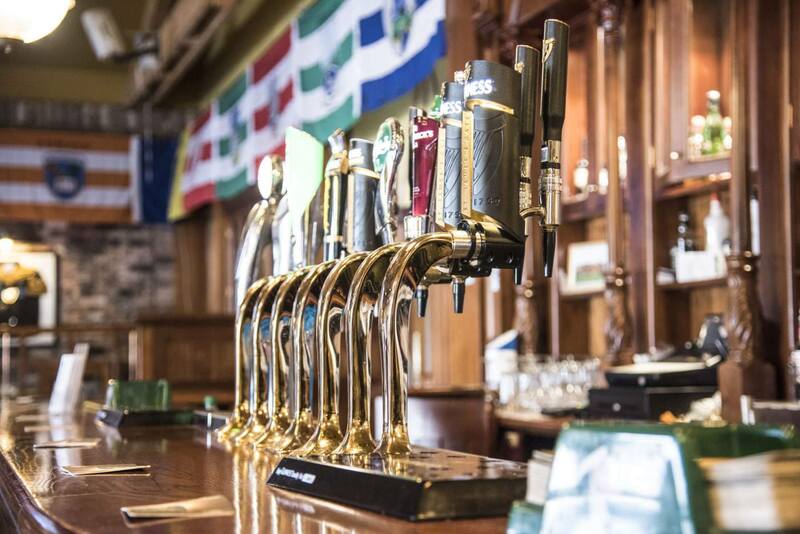 The bar provides a welcoming atmosphere and regularly hosts events including live music, steak barbecues, club celebrations and much, much more. All sporting events are shown on our two big screens in the best match atmosphere in town. 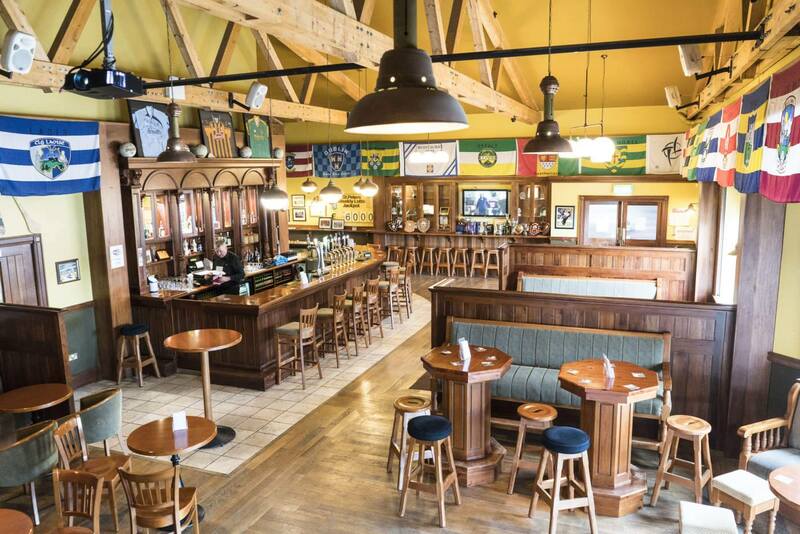 The bar is also available to hire free of charge for parties (21st, 30th, etc) – all catering requirements can be accommodated at very reasonable prices and self-catering is also welcome. Our facilities are ideal for adults and kids parties for any occasion for up to 250 people. Our sports hall and meeting rooms are also available to hire. Badminton, zumba classes and fitness bootcamps are just some of the activities that take place every week. 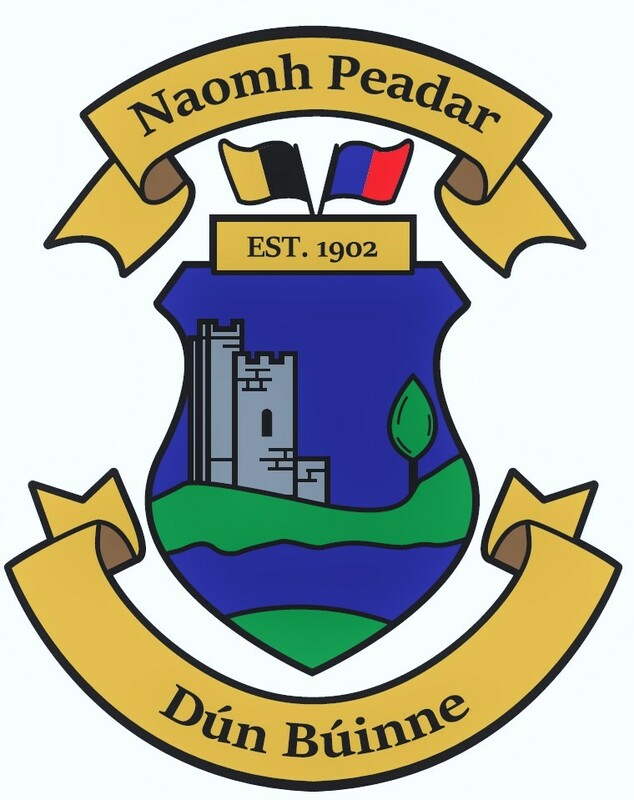 To enquire about the bar, the clubhouse facilities or to organise a party, contact our Club Bar Officer, Tom Dermody (086) 257 1123, drop in during opening hours (see notice board above), or email us at dunboynegaaclub@gmail.com. The Dunboyne GAA gym was launched in 2011. The construction of the gym was a fantastic example of a club members coming together to produce something special for the community. The project was driven and led by football captain Tommy O’Connor. Marshaling the resources of the club and recruiting members from across the different teams, fourteen hour days and seven day weeks were the norm. Members gave their time and skills for free and the project was completed within an incredible six weeks. 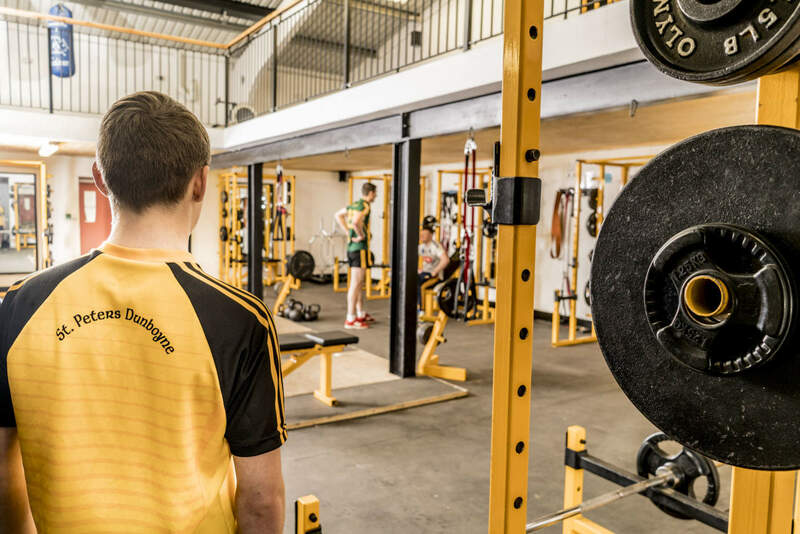 The quality of the gym is remarkably high surpassing any GAA strength facility in the county. The only comparable facility is the Leinster Rugby Gym at UCD. The gym has ten power station with chin up bars and Olympic bars at each which means twenty to thirty people can complete a compound lift routine simultaneously. There are three separate lifting platforms in the middle of the downstairs floor along with four hex squat bars. Upstairs, in the split mezzanine, there is a kettlebell and dumbbell lifting area. There is a separate core and box jump area with floor mats and ab balls. In addition there is a boxing section with six heavy bags. Other equipment includes medicine balls, full stretch bands, thick bars, bosu ball, foam rollers and TRX equipment. The gym is available to all club members to join and is open to outside teams to hire. A networked fob system monitors and controls membership and entry. 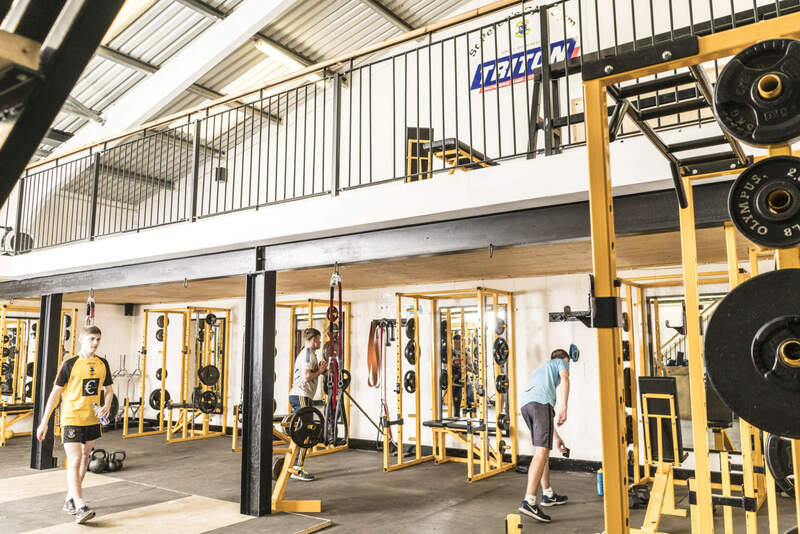 So far the gym has been used by the Irish International Rules team, the Meath minor team that reached the All Ireland final in 2012, the Ratoath team that won the Meath JFC along with all the different teams in the club. There is a particular emphasis on developing appropriate programmes for club minors. The club is starting to see the benefits with a high number of county representatives and players physically capable of playing adult games. There is almost 150 members with over 10,000 unique visits per annum.